Had the awesome opportunity to check out the movie courtesy of the awesome people in Nuffnang yesterday for the much anticipated Greek mythology movie Wrath of the Titans! 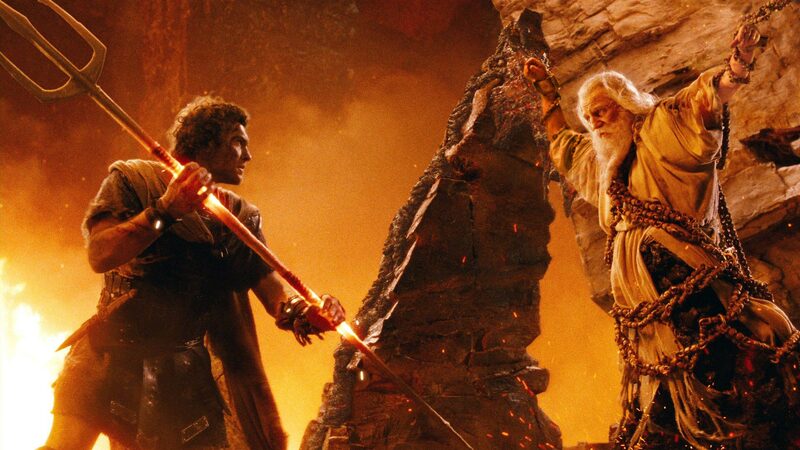 If you missed out on the following movie before this, this one is actually a direct sequel of the Clash of the Titans which I would recommend you to watch before you watch this one, just in case you get confused with the storyline. The entire movie itself was promoted as the next up and coming mythological epic movie, complete with battle sequences between man, titans and god which all adds up to a setting that would well suit a guy with a bloodlust taste for movies! "The storyline follows as Perseus son of Zeus, 10 years after the setting of Clash of the Titans wanted to stay as a human and live life as a mere fisherman and away from the battlefield. However acts of betrayal and conflict between the gods has brought forth a force that threatens to destroy the lives of both man and gods. Therefore it has been called upon demigods, half human and half gods to come and fight for a battle that they themselves feel they cannot win." As a self proclaimed geek, I came in this movie prepared with the average knowledge of Greek Mythology (partly from reading books, and partly from playing Age of Empires) so it was quite exciting for me to see how they are going to bring these characters to life once again. On a general view, I felt that the movie was quite average and considering the hype that was brought out of this movie, I felt there were some parts that was quite good but there were some disappointing moments within the movie. So, this is my general breakdown of the movie! Would I watch it again? : One time thing. Wouldn't be tempted to watch again. Plot : Similar to Clash of the Titans, I felt that majority of the plot was very predictable but the fight scenes was really good! Teh Tarik Rating : I'll give an average 5 out of 10 for this one. So for those of you who either enjoy watching epic battle movies like this or have watched the first one and is aching to see what happens here then I would recommend to watch the movie. Otherwise, I wouldn't miss that much from missing this movie to be honest. Still was not exactly a bad movie, perhaps was expecting slightly more from the storyline compared to the one before.